2. DESCRIPTION OF THE TYPE OF SERVICE AND BOOKING TERMS. Through the website CANARIASWORLD.COM, whose details are shown at the end of these General Terms and Conditions, customers have access to information on products and services provided by different companies offering excursions and activities (hereinafter, “the Operators”), from whom they may book and purchase some of their products. Unless indicated to the contrary, any offer in relation to the products and services provided by the Operators offered by CANARIASWORLD.COM will be undertaken as an intermediary in the sale. 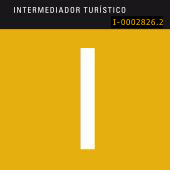 This means that CANARIASWORLD.COM only puts the Operator in contact with the potential customers. As a result, CANARIASWORLD.COM is an intermediary whose involvement is limited to arranging contracts between the customer on the one hand and the Operator on the other, without promising the rendering of any services and without providing them, and without being bound by the result. The undertaking by the customer of reservations or purchases of products or services from the Operators the customer chooses shall be subject to the specific terms and conditions established in each particular case by the Operator. The customer agrees to accept and respect the terms and conditions of sale defined by any Operator the customer chooses to contract, including but not limited to the payment of any accrued amounts and complying with any rules and regulations regarding the availability of prices, products or services. In the event of any special rules or regulations existing that may affect the prices, products or services selected by the customer, these rules and regulations shall be shown to the customer before proceeding with the reservation. The production and updating of information on offers, products or services, prices, characteristics and any other relevant details or information regarding the products and services offered through the website correspond to the respective Operators. CANARIASWORLD.COM will take the necessary actions to ensure that this information is supervised, verified and updated. The different Operators who are responsible for the information contained on our website reserve the right to modify the information in relation to their products and offers. The offers, terms and conditions of CANARIASWORLD.COM and of the Operators may be modified at any time without prior notice. These modifications will not affect the offers, terms and conditions accepted by the customer at the time of booking/purchase. The customer must check the terms and conditions of CANARIASWORLD.COM before contracting any service or product in order to verify any changes that have been made. If the customer does not accept these terms and conditions, they must not use this website. Use of this website shall be deemed as acceptance of these General Terms and Conditions. We recommend that customers print a copy of these General Terms and Conditions so that they can be consulted at any subsequent time. The Operators, within the scope of their respective obligations, shall be liable for compliance with the obligations arising from currently applicable legislation and from the terms and conditions of sale for each of the products and services contracted. Due to the fact that the customer signs the contract with the Operator, any query or complaint in regard to the service must be addressed to the Operator. Notwithstanding this, CANARIASWORLD.COM provides its Customer Service department to help with any doubts or suggestions they may have. In order to provide customers access to the comparison of the services requested, the customer expressly authorises CANARIASWORLD.COM to undertake certain procedures with the Operator in order to make this comparison of services possible. 3. GENERAL BOOKING TERMS BETWEEN CANARIASWORLD.COM AND THE CUSTOMER. The customer declares that they meet the necessary requirements and have the necessary legal capacity to contract the services offered by the Operators on the website of CANARIASWORLD.COM, in accordance with the conditions detailed below, which they declare that they understand and accept. CANARIASWORLD.COM is not responsible for the accuracy and precision of the details provided by the user, and therefore cannot verify the necessary age and legal capacity to contract these services. Furthermore, some Operators ask for certain requirements in order to be able to book their services/products. The customer will be informed of these requirements prior to completing the purchase under the terms and conditions of the Operator for the service, and agrees to only contract the services offered for which they meet the necessary requirements required by the Operator. Transmit their name and password to unauthorised third parties, with the obligation to immediately inform CANARIASWORLD.COM of any access by an unauthorised user to this information. Upload data programmes onto the network liable to cause damage to the computer systems of CANARIASWORLD.COM, its Operators or third party users of its intranet or this website. Undertake any activities that may be illegal or contrary to good faith, customs, morals or public order. Spread contents of a racist, xenophobic or pornographic nature, which support terrorism and/or violate human rights. The customer may make a reservation for an excursion/activity through the sales channels indicated in these General Terms and conditions. During the reservation process on the website of CANARIASWORLD.COM, additional products and services may be offered as a complement to the reservation. Customers may accept or reject the services and products offered without this affecting your initial selection in any way. Any reservation process that is begun will be converted into a purchase at the end of the procedure described below, creating a location number (Voucher) which will be sent to the customer’s e-mail. The customer can browse and compare the various services offered by the different Operators that have partnered with CANARIASWORLD.COM. The customer can then select the service that fits his/her needs best, and start the booking process. The booking process consists in entering his/her personal data, specific data about the service contract (number of participants, the type of service, etc.) and his/her credit card data. After entering such data, and before completing the purchase, the customer can view the service terms and conditions (this document) and can choose whether to purchase or not. If the customer makes a purchase, he/she will receive a confirmation email with the reference number and all the information needed to enjoy the service. The customer whose details have been entered during the booking process will alsways be designated as the reservation holder, therefore this person has to be present when the service starts. In the event of making the reservation through the Customer Service department of CANARIASWORLD.COM, the agents will guide and advise the customer with regard to the offers that are available that are best adapted to their needs. They will also inform them verbally of the characteristics of the service the customer is contracting, which will be specified in the confirmation e-mail for the purchase sent to the customer. CANARIASWORLD.COM cannot be held liable for any harm or damages arising from any technical incidents affecting the Internet connection, access to the same or the electronic device used to make the reservation and which may affect the same. “Technical incidents” shall be understood as including, but not limited to factors such as interferences, omissions, interruptions, viruses, faults and/or disconnections of the operational service of this electronic system, or in the electronic devices and equipment of the users. In the event of any incidents in the booking process attributable to CANARIASWORLD.COM, the company will inform the customer as soon as it is aware of the incident, and will make every effort to provide the contracted service; otherwise, if it is not possible to provide the contracted services, it will proceed to reimburse the amounts the customer has paid to CANARIASWORLD.COM. In turn, the customer is responsible for checking their reservation once it has been completed in order to notify CANARIASWORLD.COM of any incidents that may have occurred during the booking process in order to resolve them without any prejudice to the parties. CANARIASWORLD.COM will also inform customers through its Customer Service department of any incidents it detects during the booking process in order to resolve them without prejudice to the parties. The customer confirms that the information provided, either directly through our website or by calling our Customer Helpline, is accurate. In the event of any of this data being inaccurate, or if the customer has provided incomplete information with regard to their identity as well as with regard to the requirements defined by CANARIASWORLD.COM and the Operators for the performance of the contract, and further refusing to remedy this situation, this situation may affect the correct provision of the services being contracted, without this implying any liability on the part of CANARIASWORLD.COM. As payment is made on-line or through bank transfer, under no circumstances will CANARIASWORLD.COM accept cash for payment. Credit and debit cards are accepted for the booking of services (more information in section 4 in this document). 7. DOCUMENTATION REQUIRED TO UNDERTAKE THE ACTIVITY. Without exception, the customer that made the booking must show a valid ID card or passport in order to enjoy the service booked. Additionally, for some services the Operator might require certain extra documentation. This requirements will be specified in the booking process and in the confirmation email. 8. ALTERATIONS AND CANCELLATIONS OF THE RESERVATION BY THE CUSTOMER. Reservations may be altered or cancelled by sending an e-mail to the customer service department of CANARIASWORLD.COM, info@canariasworld.com which will not take effect until reception of the confirmation in writing). In the case of cancellations by e-mail, a minimum cancellation period is considered according to the specific cancellation conditions for each Operator (please refer to section 1 of this document). Using the customer service e-mail address: info@canariasworld.com. In person, at our office: General Pardiñas, 15, 1, 28001, Madrid. We have official complaint forms. Due to the fact that CANARIASWORLD.COM is an intermediary, suggestions and complaints will be forward to the Operator. CANARIASWORLD.COM es owned by Miguel Angel Goiriz Criado ERL, with spanish ID 50737508Z. CANARIASWORLD.COM, as intermediary, will take the responsibility of putting in touch the customer with a partner company which will carry out the activity booked by the customer. Any incident that takes place during the activity will be the responsibility of the partner company carrying it out. The customer will be informed of the identity of the partner company upon confirmation of the booking.